One-step beauty treatment for interior/exterior stone and masonry surfaces. Provides excellent protection and durability. Detergent, scuff, and stain resistant. Leaves a high gloss, durable shine on both regular and no-wax floors. Cleans and shines as you damp mop. Repairs and restores, leaving a brilliant self-polishing shine on resilient tile, vinyl and hard flooring surfaces. Hard, durable finish. Resists scuffs and marks. Easy to apply, fast drying. Repairs and restores the look and appearance of all floors. Use as a seal on freshly stripped floors or as a top coat to keep floors looking their best. Meets or exceeds ASTM D-2047 for slip resistance greater than 0.5 coefficient of friction. Makes wood floors look new again. Removes scuffs from busy floors, leaving only a radiant shine. Protects your floors and helps prevent dirt from collecting in grooves. Super high gloss seal and finish for all resilient tile, vinyl and hard flooring surfaces. Easy to apply, fast drying. Brilliant, clear, long lasting shine. Repairs and restores the look and appearance of floors. Resists marking in high traffic areas. 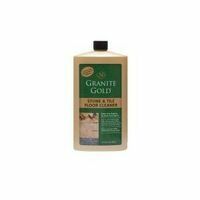 Use as a seal on freshly stripped floors or as a top coat to keep floors looking their best. Maintains high shine, gloss and appearance of all hard floors. Meets or exceeds ASTM D-2047 for slip resistance greater than 0.5 coefficient of friction. Restores the shine on no-wax vinyl floor surfaces that have become dull and worn over time. Easily applied, fast drying formulation. Brilliant clear gloss, will not yellow or discolor floors. The durable shine is maintained even after repeated washings. Resists marking. Prolongs the life of the floor. Meets or exceeds ASTM D-2047 for slip resistance greater than 0.5 coefficient of friction. Seals and finishes resilient tile, vinyl, terrazzo and other hard surfaces. Provides a hard high gloss shine on any floor. Use as a top coat to restore the shine to worn floors, or use as a sealer and finish on stripped floors. Clear protective finish will not yellow or discolor floors. Durable and resistant to scuffs and black marks. Meets or exceeds ASTM D-2047 for slip resistance greater than 0.5 coefficient of friction. A quick and easy way to enhance and renew dull, worn natural hardwood floors. Minimizes scratches and leaves a clean, bright finish that will protect floors for months. Average coverage is approximately 300 square feet. Do not use on unsealed, unfinished, waxed or oiled floor. Not for use on synthetic or laminate floors. Quickly and easily penetrates and lifts all brands of floor finish for easy pick up with a mop or wet vacuum. Water based formula for use on sealed interior wood floors. Beautifies and restores appearance, adds a layer of protection to wood floors. Mark, scuff and scratch resistant. Use on sealed wood floors that have become dull and worn over time. No solvent odors, lower VOC?s than oil based sealers. Durable, long lasting gloss and shine. Designed for use on interior marble, stone, granite, terrazzo and other hard surface floors. Seals, polishes and protects in a single step. Restores the natural beauty of marble, granite and stones that have become dull and worn. Protects surfaces from staining. Floors and surfaces are easier to clean. Meets or exceeds ASTM D-2047 for slip resistance greater than 0.5 coefficient of friction. For vinyl, rubber, and linoleum floors. Seals floors, providing a brilliant gloss, durable protection and wear. Recommended for vinyl, linoleum, rubber and tile floors. Seals floors, providing durable protection and wear. Carnauba based. Repairs and restores, leaving a brilliant self-polishing shine on resilient tile, vinyl and hard flooring surfaces. Hard, durable finish. Resists scuffs and marks. Easy to apply, fast drying. Repairs and restores the look and appearance of all floors. Use as a seal on freshly stripped floors or as a top coat to keep floors looking their best. Meets or exceeds ASTM D-2047 for slip resistance greater than 0.5 coefficient of friction. One-step beauty treatment for interior/exterior stone and masonry surfaces. Provides excellent protection and durability. Detergent, scuff, and stain resistant. Super high gloss seal and finish for all resilient tile, vinyl and hard flooring surfaces. Easy to apply, fast drying. Brilliant, clear, long lasting shine. Repairs and restores the look and appearance of floors. Resists marking in high traffic areas. Use as a seal on freshly stripped floors or as a top coat to keep floors looking their best. Maintains high shine, gloss and appearance of all hard floors. Meets or exceeds ASTM D-2047 for slip resistance greater than 0.5 coefficient of friction. Seals and finishes resilient tile, vinyl, terrazzo and other hard surfaces. Provides a hard high gloss shine on any floor. Use as a top coat to restore the shine to worn floors, or use as a sealer and finish on stripped floors. Clear protective finish will not yellow or discolor floors. Durable and resistant to scuffs and black marks. Meets or exceeds ASTM D-2047 for slip resistance greater than 0.5 coefficient of friction. Restores the shine while offering protection against wear. The durable, urethane acrylic blend has an exceptionally fast dry time and no waxy build-up. Adds a high gloss protective layer and fills in micro scratches, evening out the appearance of your floor for a refreshed new look. Use every 1-4 months to keep floors revitalized and looking their best. Formulated for linoleum, stone, terrazzo, vinyl, sealed porous marble, laminate and no-wax sealed tile (ceramic, Mexican Saltillo, quarry). GREENGUARD certified. Covers 550 sq. feet. Restores the shine while offering protection against wear. The durable, urethane acrylic blend has an exceptionally fast dry time and no waxy build-up. Adds a protective layer and fills in micro scratches, evening out the appearance of your floor for a refreshed new look. Use every 1-4 months to keep floors revitalized and looking their best. Specially designed for wood floors, including factory-prefinished floors. Covers 550 sq. feet. GREENGUARD certified. Restores the shine while offering protection against wear. The durable, urethane acrylic blend has an exceptionally fast dry time and no waxy build-up. Adds a protective layer and fills in micro scratches, evening out the appearance of your floor for a refreshed new look. Use every 1-4 months to keep floors revitalized and looking their best. Specially designed for wood floors, including factory-prefinished floors. Covers 550 sq. feet. GREENGUARD certified.